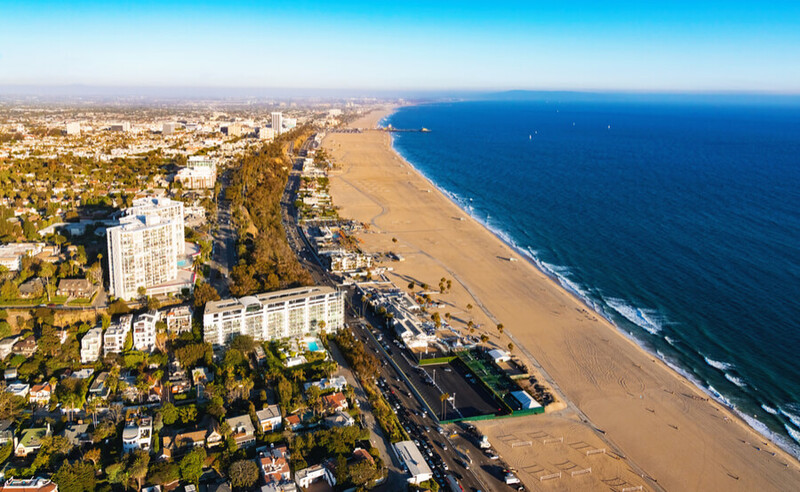 CLARE Foundation is a successful rehabilitation center available on a few different locations around the United States, with one being located in Santa Monica, California. It is a non-profit rehabilitation center that offers help and support to individuals diagnosed with addiction and co-occurring mental health issues. CLARE Foundation offers a dual diagnosis as well. There is an on-site detox available, in 30 days, mandatory for each and every patient admitted to CLARE Foundation rehabilitation center. CLARE Foundation offers a variety of therapy methods available on-site, all based on the 12-step recovery process. In addition, there are a few different choices when it comes to choosing a proper treatment plan as well. The choices include inpatient treatment program, PHP (Partial Hospitalization Program), a traditional outpatient program, and an IOP (Intensive Outpatient Program). In addition to individual, group, trauma therapy, the patients also engage in lectures during which they learn about job search, build strong character, and fighting any possible relapses in the future. The facility is known for being gender-specific, which means that although both men and women are to be accepted at the CLARE Foundation, they are separated in groups according to gender when it comes to therapy and housing. CLARE Foundation rehabilitation center is CARF certified, which speaks of the quality of care that the patients here are about to receive. CLARE Foundation is a gender-specific rehabilitation center, which means that patients who take part in the inpatient treatment programs are to be accommodated separately according to gender. CLARE Foundation, located in Santa Monica, California owns two facilities – one for male, and the other for female patients only. CLARE Foundation offers accommodation to 80 patients total. Rooms are in dorm-style, with twin beds, wardrobes, desks, chairs, and shared bathrooms. The dining room is in the style of a cafeteria. All meals are prepared and served fresh on-site. Dietary requirements are to be respected. The facilities have common rooms, offices, and rooms for therapy as well. Inpatient treatment program – The inpatient treatment program at CLARE Foundation offers meals and accommodation during the treatment period. It usually lasts around 30 to 90 days, depending on factors such as medical condition, the progress of the patient, etc. The inpatient treatment program at the can last maximum six months. Partial Hospitalization Program (PHP) – The Partial Hospitalization Program (PHP) also offers meals and housing; however, patients are free to leave the facility to attend school or work. Therapies can last for six hours, and they are to be held at a daily level. Intensive Outpatient Program (IOP) – The Intensive Outpatient Program (IOP) does not offer meals nor accommodation during treatment. Instead, patients are to live at home and only visit the facility for their scheduled therapy sessions. The IOP usually meets five times a week for around three hours of sessions on a daily level. Patients who have completed their inpatient treatment program can transfer to the IOP if their condition allows living alone. Outpatient treatment program – The traditional outpatient treatment program is similar to the IOP, with the difference of lasting shorter than the IOP and having less frequent therapy sessions on a weekly level. Patients usually meet three times a week with their counselors. CLARE Foundation is known to accept most private insurance plans, including Aetna, Cigna, BlueCross BlueShield, United Healthcare, etc. Patients can discuss the possibility of using a variety of self-pay options if they do not own a private insurance plan. For more information about insurance acceptance and different payment options and plans, we advise you to feel free and contact the staff at CLARE Foundation directly, using the phone number provided previously. CARF (The Commission on Accreditation of Rehabilitation Facilities) has accredited CLARE Foundation. CARF works as a non-profit organization, responsible for making sure that the rehabilitation facilities that have been accredited by it are offering nothing but great care and support to their patients. If you are interested to find out more about the facility’s accreditations, please contact the staff via phone. For mothers struggling with addictions issues and co-occurring mental health issues, CLARE Foundation offers a safe place where they are welcomed along with their children to get treated and back on track with their lives. CLARE Foundation also accepts court-referred individuals, as an alternative to spending time in jail for assaults and illegal actions that they have done under the influence of drug or alcohol. CLARE Foundation has brought together Master-level professionals in order to form a team of 67 people, including 74 volunteers as well. Along the standard medical staff such as physicians and registered nurses, there are psychiatrists, psychologists, LADCs (Licensed Alcohol and Drug Counselors), LCSWs (Licensed Clinical Social Workers), LFMCs (Licensed Family and Marriage Counselors), etc.